Have you ever wondered what it would be like to live across the globe in Africa where the comforts we take for granted everyday are a luxury? 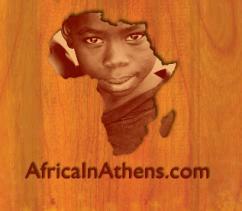 Next week, Feb. 8-15, Africa is coming to Athens. Africa in Athens is a free exhibit at the Classic Center where visitors will be able to see life as a child infected with HIV/AIDS living in an African community. The exhibit, presented by World Vision Experience: AIDS and Athens Church, will include an "interactive audio tour with captivating photography that will transport you to the heart of Africa" says the group&apos;s website, www.africainathens.com . "You&apos;ll gain a completely new perspective on the greatest humanitarian crisis of our time." Be sure to schedule your tickets online soon, as time slots are filling up quickly already and you will not want to miss out on this incredible opportunity.